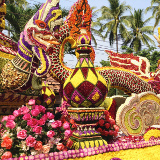 Chiang Mai is a rich holiday destination in Thailand. With over 400,000 residents, it is the largest city of the Northern Thailand region. Chiang Mai offers you an exceptional scene, with temples, national parks, shopping destinations and more. 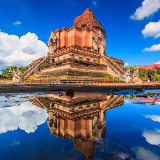 The destination’s leading attractions include Wat Chedi Luang, Elephant Nature Park, and the Chiang Mai Flower Festival. Cheap flights to Chiang Mai are now available for a limited time, so get ready to discover this gorgeous city. 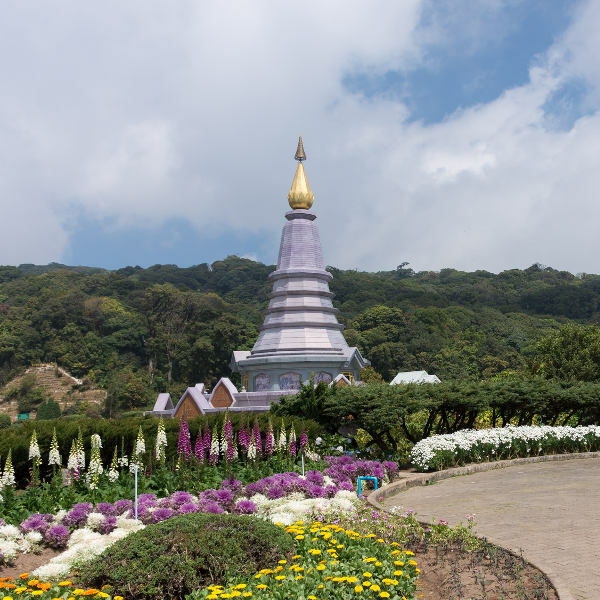 The destination is served by the Chiang Mai International Airport (CNX), which is a 20-minute drive from the city centre. This airport serves a number of airline companies, including SilkAir, Bangkok Airways, and Thai Airways. Popular flights departing from Johannesburg to Chiang Mai are now available. The average duration of the flight is 16 hours. 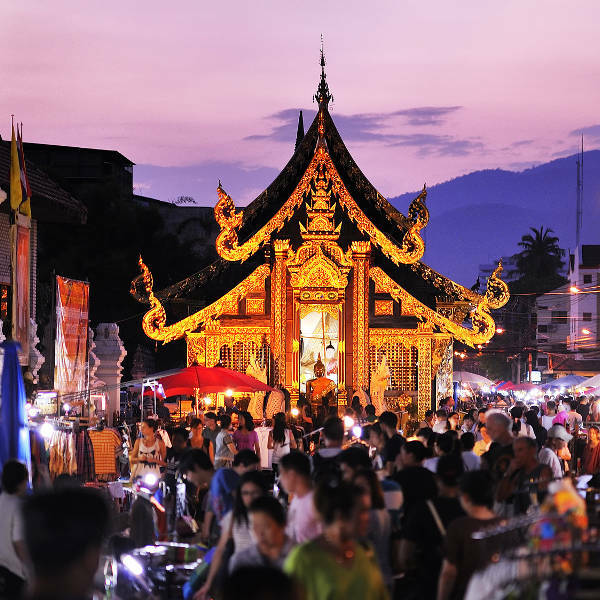 Chiang Mai features over 300 temples, dating back to a period between the 13th and 18th centuries. Admire their magnificent designs amid the breath-taking surroundings that this city offers. The combination of architecture in Chiang Mai is a kind found only in a few cities around the world. Explore streets featuring ancient monasteries amongst contemporary houses and hotels. You’ll be glad to know that Chiang Mai isn’t a major tourist hub like the capital, Bangkok. You can enjoy this wonderful destination without the usual crowd of visitors. The best time for cheap hotel rates and acceptable weather conditions in Chiang Mai is from March to May. The summer season begins setting in from the end of March and there will still be tourists. Temperatures can rise as high as 40°C between the months of April and May. Make sure to take light clothing and hats, and book accommodation with an establishment that has a pool. If you head out, do it after sunset. For more availability, visit between June and October, which is the rainy season. Temperatures will cool down, however, the humidity will rise. Beware of monsoons, which are a common occurrence in Chiang Mai during this period. It would be best then to bring umbrellas, raincoats and waterproof shoes. The benefit of coming during this period is that you won’t have to share the sites with many other tourists. November to February is the ideal time for moderate weather, although it also means a higher volume of tourists. 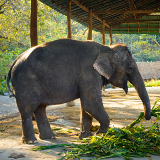 Chiang Mai is a superb example of what you can expect from a visit to Thailand. Home to a stunning array of ancient temples, and all the attractions of a modern day city, this is a holiday destination you need to add to your bucket list. This capital of the Northern Thailand region is the place to go when you need to refresh yourself after the fast-paced environment of Bangkok. The city creates a bridge across time, with monasteries alongside houses and hotels. Learn about this city at the Chiang Mai National Museum, the Chiang Mai City Arts and Cultural Centre, and the Tribal Museum. Shop to your heart’s content at the wide selection of markets and shopping centres. 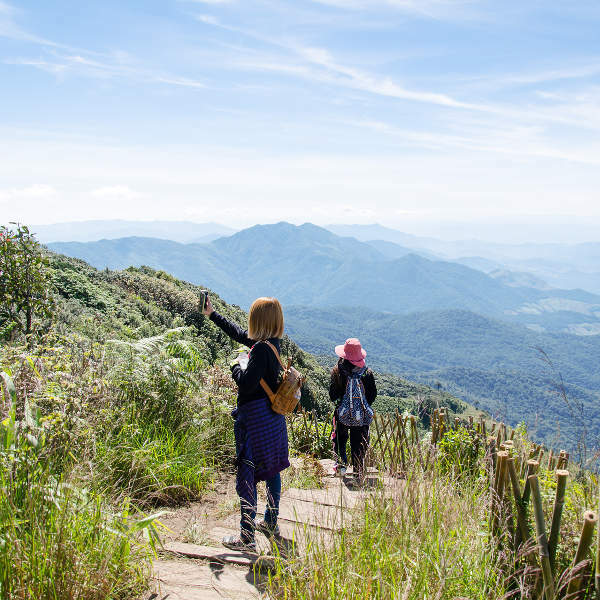 Besides all this, pay a visit to the many beautiful national parks and zoo.Treat yourself to this amazing holiday experience at Chiang Mai. Compare several airlines and book your cheap flights to Chiang Mai online at Travelstart! South African passport holders will not need a Visa to enter Thailand. A valid passport is necessary, however, with a minimum of six months before expiration. Visit your doctor to learn what routine vaccinations you need to get before travelling to Thailand. Other diseases that may pose a threat include hepatitis A and hepatitis B, typhoid, Japanese encephalitis, and rabies. Beware of malaria and dengue, which are both transmitted via mosquito bites. Make sure to drink only filtered water in Thailand, as any other water is contaminated, and will cause diarrhoea. Take an antibiotic with you in case you fail to properly guard against this disease. Take care when travelling on the road via car and especially via motorcycle, as accidents have been common in the last few years. Since 2006, there have been irregular periods of political unrest. Beware of demonstrations and pay attention to the news and social media outlets. A large concentration of hotels are available throughout Chiang Mai. They range from 2- to 5-star grading, making them ideal for travellers of various financial limitations. Features that are common among these establishments include restaurants, pools, spas bars, sundecks and more. The cost of staying at one of these hotels ranges from ฿ 401 to ฿ 16073. The two best ways to get around in Chiang Mai are the songthaews (trucks) and the taxis. Songthaews can be hailed from the roadside. You will need to negotiate the cost, but prices usually are ฿ 21 per person for trips in the city, and ฿ 40 – ฿ 65 for trips outside. The taxis are not available on the road. You will need to call them to hire one. You can get the numbers of the taxi drivers once you exit the airport. The taxis are more expensive, but they are the safest option. One service advertises a rate of ฿ 160 for trips in the city limits and higher outside the city. The Uber service is also available in Chiang Mai, and will cost you around ฿ 53 for any destination between the Nimman area and the old city. Grab Taxi is a similar service that you can use via a mobile app, with the initial fee of ฿ 32.